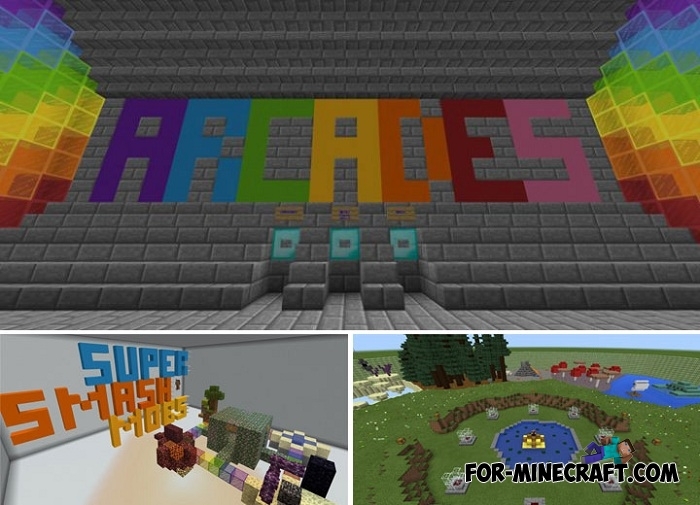 To avoid downloading individual maps and then merge them together, Random Arcades invites you to experience wonderful mini-games built on one map. Firstly, it is very convenient, there is no need to search and download maps of different genres, and secondly all mini-games are united on one common platform but can work independently of each other. To date, entertaining mini-games are the main and most popular genre on Minecraft PE servers so invite friends and have fun with endless falls, deaths and not successful attempts.